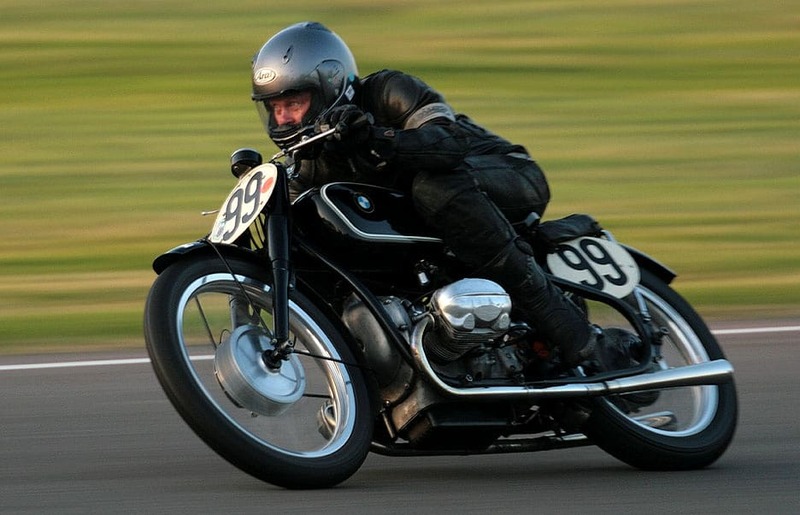 The Goodwood Revival is a three-day festival held each September at Goodwood Circuit since 1998 for the types of road racing cars and motorcycle that would have competed during the circuit’s original period—1948–1966. 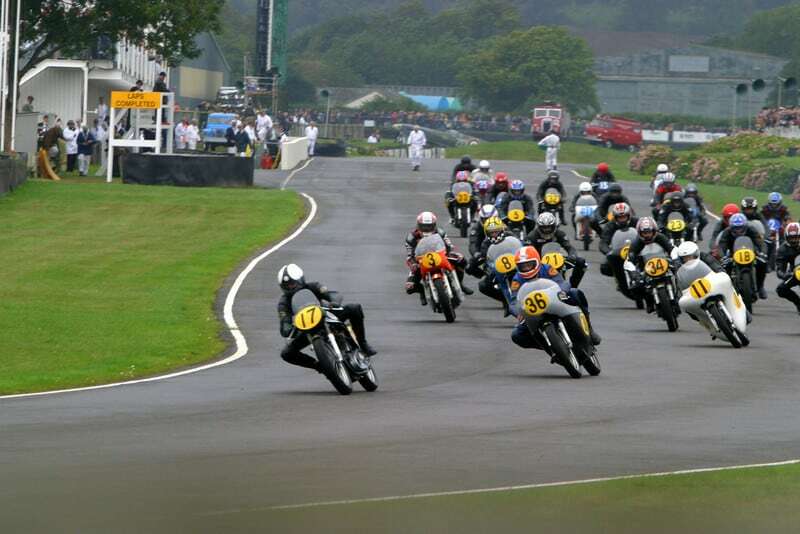 All great iconic machines, MV Augusta, Norton, Triumph, BSA, Honda etc, battling it out for a podium finish, the sound, the smell, the excitement is unreal with these old steeds. An epic line of of original machines that is a blast to watch and see and of course, smell, and these riders do not hang about either. Love this place and Hope to take Jennifer one of these days as the ambiance is amazing, as well as the camaraderie too. 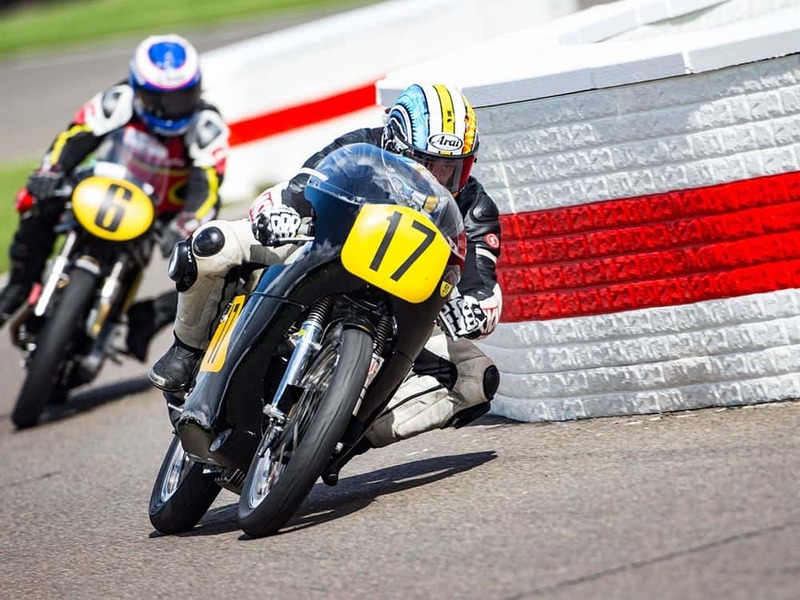 I mean, if you are not in to Nostalgic Racing motorcycles, then you wouldn’t be here. Photo- MCN This is a great shot, not sparing the horses heading into the left hander, only thing I would love to see different is Vintage leathers and skid lids on the bikes. 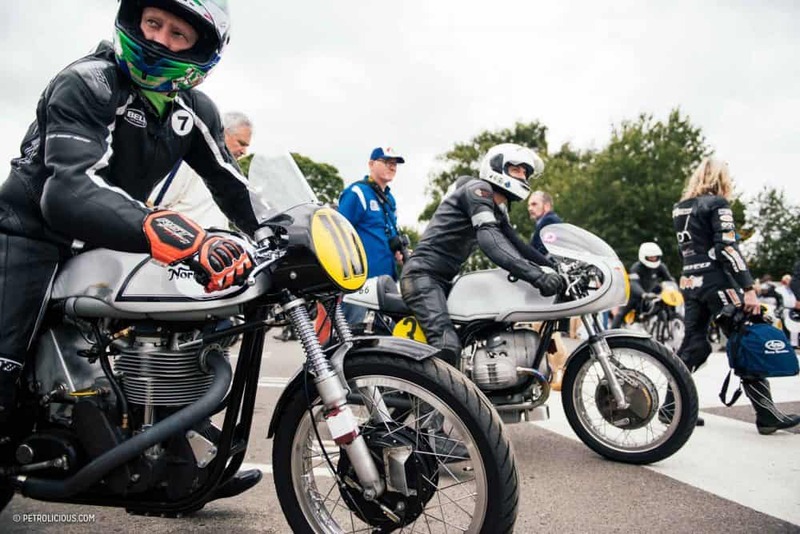 This entry was posted in Blog and tagged Alec McGuiness, ariel, Barry Sheene, BSA, Goldstar, Goodwood, matchless, MCN, norton, thruxton, triumph, Troy Ccorsa, vintage racing.